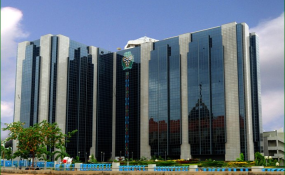 Nigeria: Will CBN's Rate Cut Stimulate Domestic Output? There are expectations that, juxtaposed with other factors, the slight reduction in the monetary policy rate by the Central Bank of Nigeria may stimulate lending to the real sector, which will in turn boost local production and translate to job creationIt came like a thunderbolt to the markets. Last Tuesday's announcement by the Central Bank of Nigeria's (CBN) Monetary Policy Committee (MPC) of a reduction in the monetary policy rate (MPR) by 50 basis points from 14 per cent to 13.5 per cent after keeping the benchmark unchanged for 33 months since June 2016. In announcing the decision, CBN Governor, Mr. Godwin Emefiele, at the end of a two-day MPC meeting in Abuja, said the rate cut had become inevitable in order to boost economic growth. Essentially, the MPR acts as the baseline for interest rate in the economy and goes to determine the cost of borrowing from commercial banks. Nigerians have for long craved for a loosening of monetary policy stance as high cost of borrowing appeared to slash returns on businesses and sometimes making it difficult for them to break even as well as discouraging entrepreneurship amid inflationary pressures. Some of the attendant implications were distortions in the real sector, particularly manufacturing, which is already overburdened by infrastructure challenges including power. Nevertheless, the CBN had retained the cash reserve requirement (CRR) at 22.5 per cent and liquidity ratio at 30 per cent. The interest rate reduction was a decision which proved bookmakers wrong and caught the markets unawares. Nigerians were particularly anxious to know whether the rate cut finally symbolised an end to the tightening regime. Questions were being asked as to whether the interest rate slash, which many had given up on, was a sort of parting gift from the CBN governor, whose initial five-year tenure expires in June, though subject to renewal. Many also expressed doubts about the impact the marginal drop in MPR would eventually have on the economy, given that Nigerians believe whatever goes up in the country, price-wise never comes down. The surprising announcement also raised genuine concerns as to whether the commercial banks would sincerely adjust to the rate cut and allow Nigerians feel the impact after such a long hurl at monetary easing. But, according to Emefiele, the rate cut does not necessarily indicate an end to the monetary tightening cycle even though banks would be expected to adjust to the loosening in MPR so that its positive impact could be felt by customers. He also said the reduction in MPR had a "reasonable" correlation to lending to the real sectors of the economy. Giving further reasons for the committee's landmark resolution, the CBN boss said: "With the MPR at 14 per cent since July 2016, and with the relative stability we have seen in the macroeconomic variables over the last two and a half years, we just think that this should be the next phase where keeping our eyes on all other parameters, let's see whether we can signal a direction from the monetary policy, in the direction of supporting and really accelerating growth in the country. "Accelerating growth effectively means that we have to push harder to consolidate GDP, we need to push harder to make sure we create jobs. Doing this will naturally mean that we are softening gradually. But I repeat and I shouldn't be misunderstood, that we will continue to do what we are doing, what we have done in the past keeping inflation at moderated levels, and exchange rate stable. We will continue to do so. I think we are moving in the right direction." Emefiele said the slight interest rate reduction was "meant to signal and what that meant is that, all factors held constant... what we were doing that macroeconomic remains strong. We need to signal that there is a need for us to slightly (not change) move course a little further, because while you are talking about a low inflation rate regime, you are looking at a stable exchange rate regime, strong reserves management. Naturally, you will also expect that growth should be stronger and to do so means that we need to begin to look at money supply, liquidity, interest rate and issues like that to see that we push effectively towards growth." Expectedly, there have been mixed interpretations by market leaders to the CBN's rate adjustment. A professor of finance and capital market at the Nasarawa State University, Keffi, Prof. Uche Uwaleke, described the move as the right response to inflation, which had been on a decline in recent months. "The reduction in MPR by 50 basis points signals the CBN's desire to relax monetary policy to support economic growth. Obviously, it is a right response to the declining inflationary pressure and the relative stability in exchange rate which have prevailed for quite some time. According to him, the reduced MPR will also be positive for the capital market as some of the increased liquidity that will ensue, will flow into the equities market. "Also, it will be cheaper for the government to issue bonds, given that part of this year's budget deficit will be financed through domestic borrowing," he added. But the Chief Executive Officer, Financial Derivatives Company Limited, Mr. Bismarck Rewane, said the decision by the MPC was for "signalling purpose, so it depends on whether the economic agents would react to the signal." "But I think this should have been done almost a year ago, as a stimulant. But we are where we are and they say it is better late than never." Also, analysts at CardinalStone Research, raised specific questions about the motivation behind the MPC decision. In their response to THISDAY enquiries, the analysts noted: "The decision to change the MPR for the first time since July 2016 begs the following questions. Why now? Does this signal a decline in yields going forward? Will the pro-growth decision yield dividend? "We believe that the committee's consideration for reducing the monetary policy rate was predicated on, among others, the relative attractiveness of emerging and frontier markets, thanks to a dovish US Fed stance. Interest rate normalisation in the United States in 2018, together with economic crisis experienced in some emerging nations, led to portfolio flow reversals from frontier markets, including Nigeria. "This, alongside heightened political concerns, necessitated the CBN to hold its tight monetary stance, despite initial hint of a potential loosening, to attract/retain foreign investors. However, in a complete reversal, the US Fed has disclosed a change in policy guidance from two rate hikes to none in 2019, owing to fears of an economic slowdown. They added, nevertheless, that, "This reversal bodes well for frontier markets like Nigeria, as it makes a carry trade (borrowing money from a lower interest rate environment to invest in a higher yielding one) more attractive." On his part, FXTM's Research Analyst, Lukman Otunuga, opined that the move by the MPC would support growth. According to him, the central bank reduced interest rates from 14 per cent to 13.5 per cent as inflationary pressure eased and macroeconomic conditions stabilised during the first quarter of 2019. "Today's move by the CBN may open the doors to further rate cuts in the future, especially if macroeconomic conditions continue to improve and inflation cools further." In addition, analysts at Afrinvest Research said though the MPC decision beat its forecast as it expected all policy rates to be held at constant levels. Nevertheless, the CBN policy stance remained intact in view of current global happenings. "In our earlier Pre-MPC report, we noted that 'we expected the MPC to hold all policy rates at current levels in next week's meeting, although the case for monetary easing has become compelling'. However, our expectations were off as the committee favoured a rate reduction," they stated. "Since the July 2016 tweak in MPR and the subsequent use of short-term market rates to anchor monetary policy, we have continuously expressed our views on the redundancy of the benchmark rate. We think the MPC is moving back to convention and aligning policy rate to market rates. "Currently, the average short-term discount rate settled at 12.7 per cent (implying an average yield of 13.6 per cent), which aligns with the new MPR at 13.5 per cent. We are not distracted to believe an easing cycle has begun; rather, we think policy stance remains intact considering global interest rate development and the desperation to sustain and retain flows. "The CBN can always resort to OMO to achieve the objective of attracting and retaining capital flows. In addition, credit to private sector is not expected to improve on the back of rate reduction as structural bottlenecks and the elevated business risk environment remain drags to credit creation. Price pressures, on the other hand, should also not deteriorate as it has been consistently proven that Nigeria's inflation is largely cost push." Nonetheless, analysts at Vetiva Research described the decision of the CBN as "hasty" , pointing out that, it "was touted as a key measure to stimulate the economy by reducing the cost of borrowing. "Whilst the decision will have an immediate impact on borrowing rates already benchmarked to the MPR, we are skeptical of a significant passthrough to the real sector as bank lending rates are notoriously sticky going down." "Also, the decision seemingly ignores the looming risks to inflation - an expected increase in liquidity from the frontloading of a late 2019 budget, an increasingly likely review of the Multi-year tariff order (MYTO), which has an impact on electricity prices, and most importantly a looming 67 per cent increase in national minimum wage - all of which are likely to push inflation north for the rest of the year," they posited. "Notably, the CBN had previously been vocal about their concerns on the impact of the minimum wage increase on inflation. This change in direction could possibly be a signal that the committee now projects a milder impact on inflation than initially feared. That said, our view is that this decision is a hasty reaction to a short-term positivity in economic indicators, one which could exert pressure on price levels in the near-term." On her part, the Managing Director/Chief Economist, Africa and Middle East, Standard Chartered Bank, Razia Khan, said the MPC decision, "raises important questions about the government's broader reform intent. "First, the MPR cut comes following Senate approval of a sizeable minimum wage increase. Second, what does it suggest about the likelihood of an imminent VAT hike or fuel price deregulation? Both are pressing, much-needed reforms - but the CBN's rate cut today appears to suggest that these reforms, which may both exert upward pressure on the price level in the short-term, may not necessarily be imminent. This would be disappointing, especially for investors hoping for stronger reform impetus post-election. "Third, with the CRR - a much more important determinant of the policy stance of the CBN - still unchanged, it is not clear that a modest policy rate cut on its own will do very much to boost bank lending."